How can I read the scripts? They are published in Short Plays on Reproductive Freedom! Now you can buy the e-book at AMAZON KINDLE for $2.99. Can I use a script from the Festival for my own event or performance? Yes! But you must get permission from and make arrangements with the writer. 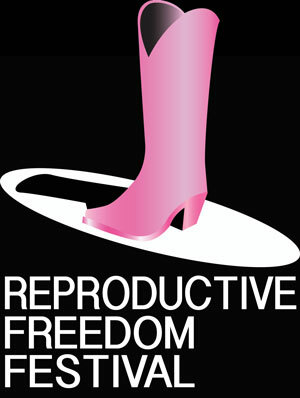 Contact the writer directly or email ReproductiveFreedomFestival@gmail.com and we will put you in touch with the writer. Can I contact the editors of Short Plays on Reproductive Freedom? Cindy Cooper is the editor, along with Stacey Linnartz. Can I watch an archival version of the Live Streaming performance? Sadly, no! You had to catch the live stream when it was streaming. Because of restrictions on our agreements with the actors, we have not maintained an archive. But you can use the resources on this site, see pictures, and read the scripts! See the Action Page on this site! There is a lot that you can do to support Reproductive Freedom, Health, Justice and Rights! Are there other sites I should know about? Are you doing other events? Visit Words of Choice.org and check the Events page. May I use the information on this site? When was the live streaming festival and who produced it? The Live Streaming Festival was on March 20, 2016. We live streaming from New York City at TACT Studios, a collaboration between Words of Choice and VirtualArts.TV. Tens of thousands of people joined us from all 50 states and 10 countries, and the response was enormously positive. Do you plan to do another Live Streaming event? Nothing in the works right now. But if you send us an email, we can contact you if another activity or one like it gets underway.